In Today’s competitive world, every business faces challenges like to offer top-notch customer service to the customers, to stay ahead of the competition, lowering operational cost, and increasing conversion rate & revenue. Among these challenges, customers are the center. They are the most important factor on which the growth of the business depends. Customer’s expectations are increasing with the advancements in new technologies. A Customer expects fast and reliable services. The solution is proactive live chat. This offers seamless communication with the visitor and provides excellent customer service. It proactively engages with the customer and asks them if they need any help and thus this boosts customer experience. Studies show that customers prefer live chat over any other customer service channel including email and telephone. According to a study from Forrester Research, a business’ investment in reactive chat has great ROI or return on investment rates of 15%, while an additional investment in proactive chat capabilities will produce an incremental 105% ROI. In simple terms, Proactive chat is an approach to customer support, which businesses take the first step to help customers. A poorly implemented proactive chat can annoy the website visitors and drive them away while friendly, timely information will result in possibly bring more sale opportunities for the business. “I’ve learned that people will forget what you said, people will forget what you did, but people will never forget what you made them feel.” – Maya Angelou. Proactive live chat is known to increase the satisfaction level of the customers, which is why it is recommended that businesses take this route. A well-built chat service, catering to the requirements of the customers and answering them much before they ask for it, is a great initiative indeed. These days proactive live chat is gaining popularity, as a result, many business ventures are adopting this one-on-one chatting system. This allows the venture to gain maximum consumer satisfaction, as well as helps to increase their credibility as a company. There are 4 basic reasons as to why businesses are looking forward to opting for the proactive live chat system. 1) The use of the trigger system. This system allows the agents to identify an old or return visitor very easily. One can get the required information’s about a visitor from multiple channels like CRM integrations, custom variables, as well as real-time visitor monitoring systems. Since customers have become more familiar with the brand and the business technique, it becomes easier for agents to connect with them vis-à-vis new ones. It also helps a business in the identification of or spotting of interested customers from different geographical locations. Proactive live chat is advantageous because it enables the business to ascertain what the customer will write. Acquires’ chat’s USP is that it can gauge what a customer is typing before the message is sent. Basically, Acquires’ technology for proactive live chat enables the customer support executive to see the message being typed by the customer. So, for example, if a customer is typing “Hi, I have product quality queries” but changes this and instead sends “I have some queries for this product,” the agent will be able to see both the messages. That’s right, the agent can see the message which was formulated but not entered by the customer. This aspect is beneficial for the business as it allows the agent to gauge the customer’s mindset. It also allows the agents to know what the customer is typing from beforehand, with the use of pre-saved queries or texts. By seeing what the customer is physically typing – before the message is sent – the agent is better prepared to address the concern. This method of proactive live chat interaction gives the business an edge. Often, many customers come as a repeating visitor. Thus, asking them their name, phone number, e-mail id is quite irritating both for the business, as well the customer. Whereas now, with the integration of CRM, agents can save the name, phone number, e-mail id etc. on their system. As soon as a repeating customer visits the online chat, the name, e-mail id, a phone number will be displayed on the agent’s screen. Sometimes, queries can pop-up even after the duty hours are over. So, during such times, tackling their queries would be really tough. Moreover, it will be terrible on the company’s part to leave the queries unattended. As a result, to tackle such situations, installing a system – which will give information regarding the offline visitors – as well as their message, which the concerned agent will answer the next day is effective. This will save time for both the agents as well as of the customers, and also give the visitor a personalized customer care facility. Customers have a slew of queries and routing them to the apt department is important. This aids the customer in interacting with the right agent, who can address their need effectively. Moreover, often a customer may have a query about a particular product or service, but the FAQs section is unable to satisfy them effectively. In such scenarios, the presence of a proactive live chat is effective in quickly addressing the customer concern. What’s more, it imparts a personal touch! Real-time or live communication is a mode of telecommunication that allows users to get information instantly. A real-time conversation includes telephonic ones, instant messaging services, VoIP or Voice over IP, or internet telephone. It is further divided in two basic modes: the Half Duplex and the Full- Duplex. The use of real-time communication has been adopted by many business organizations as well. It not only improves the customer relationship but also increases the efficiency of the employees, saving both their and the customer’s precious time. With the help of the live chat facility, both the agents and the company can get details about the customer’s device, location, choices etc. Thus the use of the proactive live chat, especially in businesses or while shopping, will not only ensure consumer satisfaction but will also boost the goodwill of the company. Easy to use, short and to the point answers, as well as accurate answers, are the features which define proactive chat. 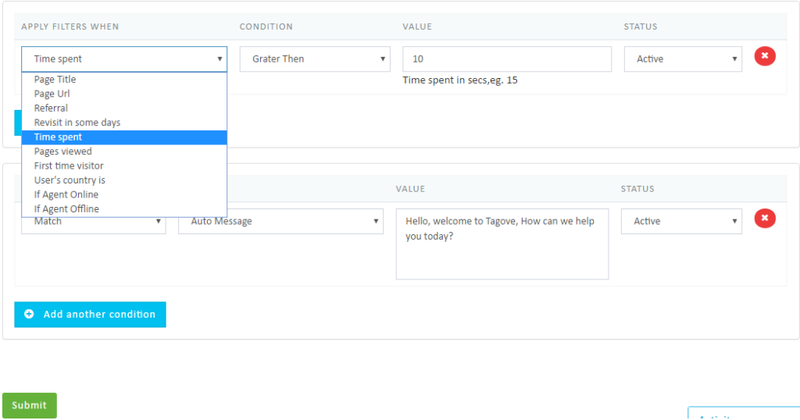 Compared to reactive chat, the proactive live chat is much more convenient. The visitor who visits the website, looking for the information in this case the agent can proactively start the conversation with the customers to develop the interest in the latest products & deals in them. Engaging with the customer in a meaningful way can prevent bounce rate and reduce cart abandonment. Customer service agent can even set buzz notification so the customer can be tracked and thus they will able to offer better service to the customers as per their needs and requirements. A proactive live chat support helps the hesitant customers in making the final purchase. More and more companies are adopting proactive live chat to increase customer satisfaction and improve brand image. While a chat may add to the incurring expenses of a business, the decision to bypass these costs blindly – without weighing the pros and cons – is being myopic. Innumerable companies are inert in this regard. They do not consider that because of lack of proper technical assistance, customers may choose not to purchase their product. The products may just lie passively in the virtual shopping cart on the business’ website. The possibility that the unhappy customer may never return to the website also exists. Therefore, in a bid to counter these issues, savvy businesses are proactively evaluating the demerits and merits of including interactive functionalities, especially proactive chat support to their website. This will not only improve engagement but will generate sales and leads.